Second in the IPL table with eight points from six matches, KKR's season so far has been a Russell show with the Jamaican amassing 257 runs from five innings. 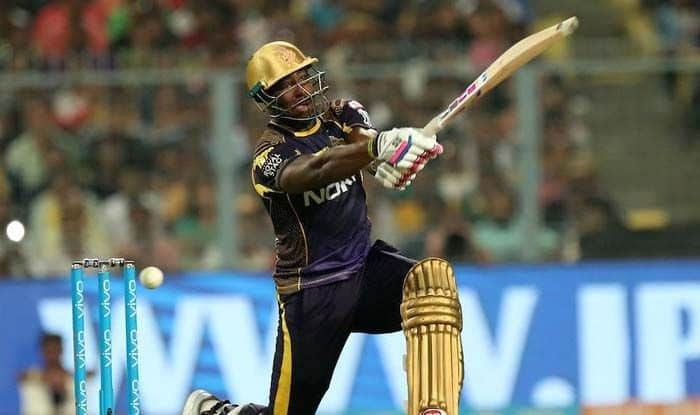 Swashbuckling Andre Russell’s big-hitting prowess will be pitted against Kagiso Rabada’s inch-perfect yorkers for the second time when Kolkata Knight Riders face Delhi Capitals in a return-leg fixture of the IPL on Friday. Away from the match, the spotlight will also fall on where former KKR and India captain Sourav Ganguly sits during the match. Ganguly will be a ‘visitor’ at his ‘home’ ground of Eden Gardens as he is currently donning the advisor’s hat in the Delhi franchise, which has drawn ‘conflict-of-interest’ charges against him. Second in the IPL table with eight points from six matches, KKR’s season so far has been a Russell show with the Jamaican amassing 257 runs from five innings, out of which 150 have come in sixes alone. While KKR will look to avenge their first-leg defeat, Delhi, who have six points from as many matches, will be looking for their fourth win of the league to return to top-five. While the KKR fans may be anticipating a Russell-mania at the Eden, the nature of the wicket will also play an important role in Friday’s match. With Delhi Capitals boasting a world-class pace attack spearheaded by the 23-year-old South African Rabada, a few insiders at Cricket Association of Bengal have claimed that its president Ganguly may have a ‘say’ in the pitch which could assist pacers. Kolkata Knight Riders – Dinesh Karthik (Capt), Robin Uthappa, Chris Lynn, Shubman Gill, Andre Russell, Carlos Brathwaite, Sunil Narine, Piyush Chawla, Kuldeep Yadav, Nikhil Naik, Joe Denly, Shrikant Mundhe, Nitish Rana, Sandeep Warrier, Prasidh Krishna, Lockie Ferguson, Harry Gurney, KC Cariappa and Yarra Prithviraj. Delhi Capitals – Shreyas Iyer (Capt), Prithvi Shaw, Shikhar Dhawan, Rishabh Pant(wk), Colin Ingram, Keemo Paul, Axar Patel, Rahul Tewatia, Amit Mishra, Kagiso Rabada, Ishant Sharma, Hanuma Vihari, Ankush Bains, Harshal Patel, Manjot Kalra, Chris Morris, Sherfane Rutherford, Jalaj Saxena, Sandeep Lamichhane, Trent Boult, Avesh Khan, Nathu Singh, Bandaru Ayyappa, Colin Munro.